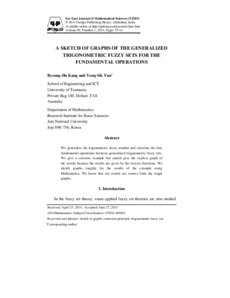 We had generalized the trigonometric fuzzy number and calculate the four fundamental operations between generalized trigonometric fuzzy sets. We give a concrete example but can’t give the explicit graph of the results because the results are given by the inverse functions. We sketchy graphs roughly for the results of the example using mathematica. We know that our results are correct from the rough graphs.